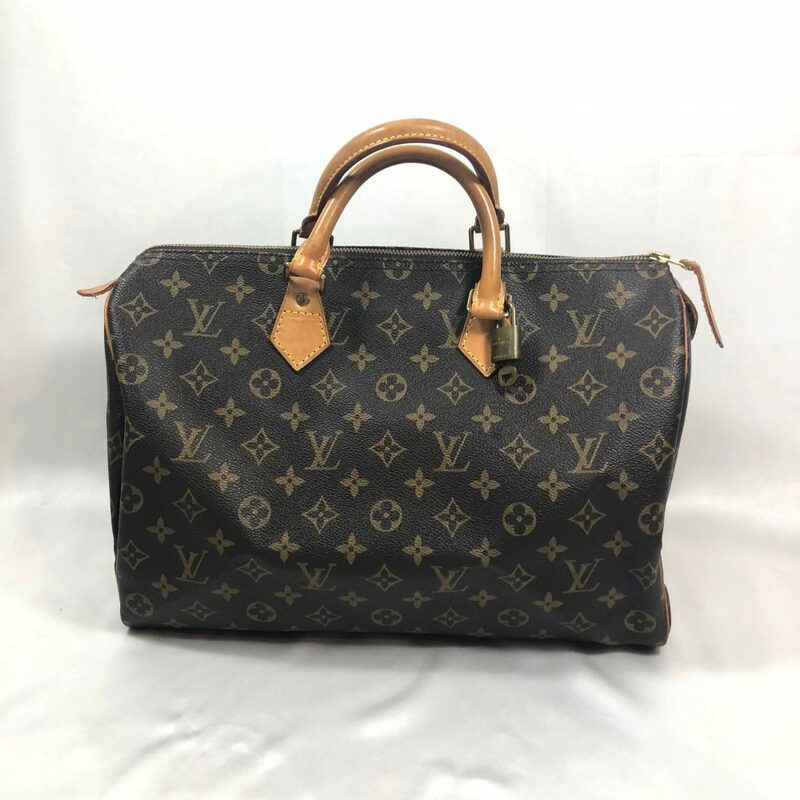 LOUIS VUITTON SPEEDY 30 IN MONOGRAM CANVAS. BRONZE TONED HARDWARE AND PADLOCK (NO KEYS) INCLUDED. ID NO V.I. 0911. INSIDE; BROWN TEXTILE LINING, ONE LEATHER TRIMMED SIDE POCKET. NO STAINS ON LINING. SIZE W 30 X H 20 X D 17CM, HANDLES 25 CM, DROP 8 CM. SPEEDY IN VERY GOOD VINTAGE CONDITION WITH WEAR ON LEATHER ON CORNERS.